Furthermore, its free-revving, flexible engine performance has gained approval not only from riders stepping up to a full licence, but also from experienced motorcyclists looking for a fun, practical and economical all-rounder. CB500X evolves further with enhanced crossover style, function and desirability to offer a compelling package of all-round capability with an adventurous spirit at an affordable price. *3.95% p.a. interest rate is available for loan terms of 24 months and 36 months. 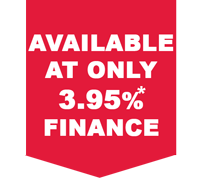 Finance offer applicable to new LAMS models. Interest is fixed for the term of the loan. No deposit required. An application fee of $350 applies. UDC Finance standard terms, conditions and lending criteria apply. Finance products are only available to approved customers. Standard warranty conditions apply. Available at all participating authorised Honda dealers while stocks last.